Each time, we talk to a branding all star about what makes the Promotional Product advertising media so special! 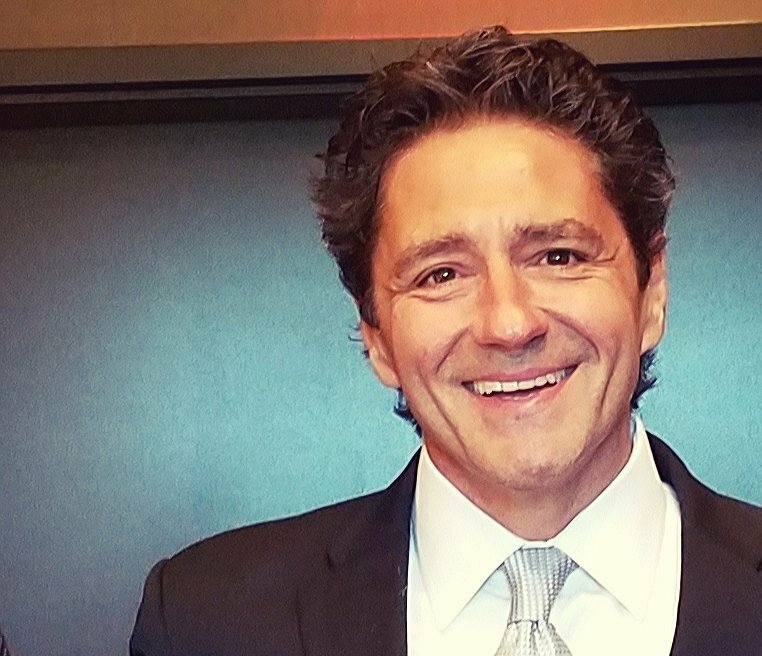 This time we talk with the Grand Poubah of PPAI, Paul Bellantone! Paul is not only an industry rock star, but he is tasked with keeping the industry moving in the right direction. We sincerely appreciate him taking the time! A rubber jar opener. See below. While I no longer have the original rubber jar opener whenever I see or use one I think of H. Ted Olson, former President & CEO of PPAI. He was my predecessor’s predecessor. I was running a tradeshow in Guadalajara, Mexico in the mid 1990s and Ted introduced himself to me with a firm handshake, a smile and then pulled a rubber jar opener with a PPAI logo out of his jacket pocket. I originally thought to myself, “What an odd thing to give someone in the middle of a tradeshow in Guadalajara.” What I didn’t know then was that one day I would be running the organization he was promoting on the jar opener. And the act of giving a simple promotional product made such impact that I would be writing about it 30 years later! I have a very classy, simple, brown leather Andrew Philips backpack I received as a gift for speaking at the Imagen Brands National Sales Meeting. It has PPAI embossed on it and it has become my constant travel companion. Research. There is such powerful and useful research supporting the power of promotional products. It is important that we share this clear, measurable and meaningful data as a differentiator between promotional products and other advertising media with our customers and buyers. It is the only advertising media people say “thank you” to the advertiser and want more of. Amazing! That’s another awesome edition of Brand-ecdotes! Thanks to President of PPAI, Paul Bellantone, for taking the time to jump in! Each week we will talk to a branding all star about what make the Promotional Product advertising media so special! 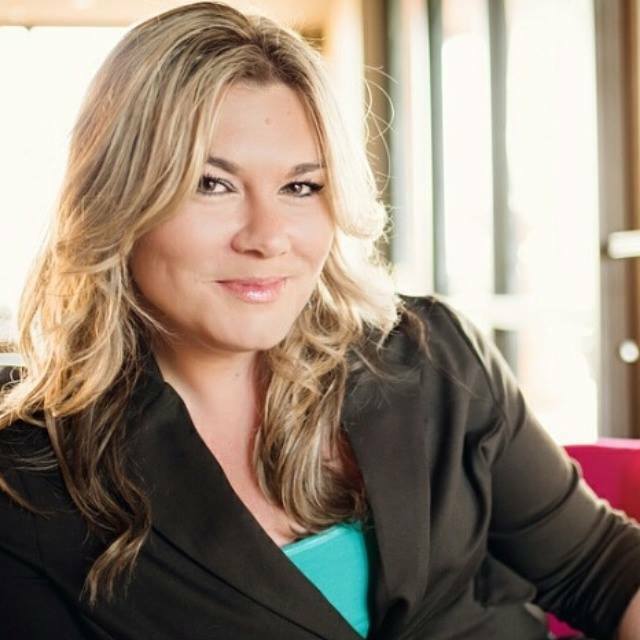 This week we talk to Charity Gibson! Charity wears quite a few hats in the Promo industry. She has been on both the distributor and supplier side of the business (and is now with Peerless Umbrella). She is a social media rock star! And she is on the PromoKitchen board as well! Take it away Charity! 1. 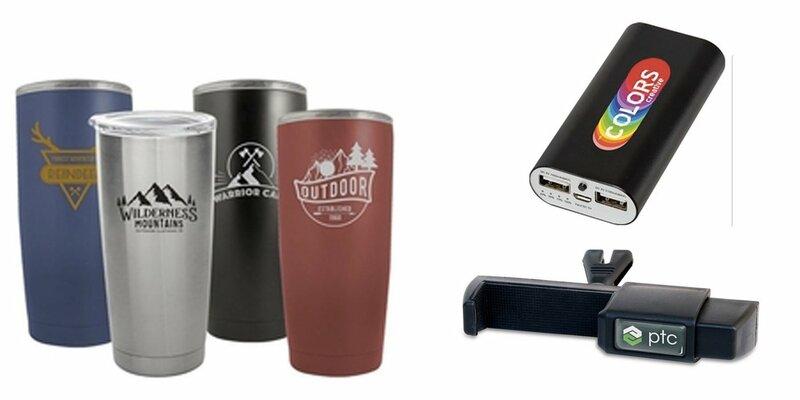 What is your all-time favorite Promotional Product and why? For a long time, my favorite promotional product was the old-school viewmaster. The nostalgia factor played a big part inthat one because I know a large demographic of people had one as a child, have a positive feeling about it, and can relate to the product. My sales pitch was that a company could have these made with their logo and it would stay on the recipient’s desk because of novelty, but then each month they could send out new reels that would have a special for that month, new product info, and any other message they wanted to send, but these sales could only be viewed by putting the reel into the toy. In my mind, it was the perfect way to get people excited about seeing sales flyers. Since then, however, my mind has been focused on more practical products. There is one product I use and subsequently see every single day, and that is my PhoneLoop from EMT. My phone, or phones I should say – I carry three, are with me 24 hoursa day. 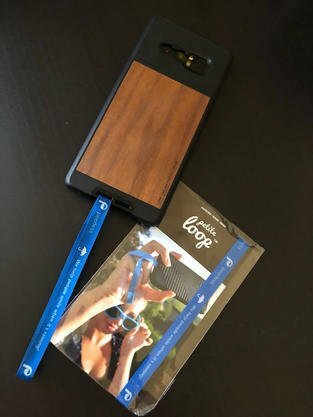 My PhoneLoop has saved my phone from so many drops I can’t even count, and keeps it clean because I can hang it on hooks in bathrooms when I’m out and not carrying a purse. My good friend Brian Stidham gave me a random sample at a tradeshowand I had that first PhoneLoop for over a year. I only recently changed it out because I ended up getting some done as a self-promo for Peerless. People carry umbrellas when they will be in the sun for an extended period of time, or when it’s raining. Umbrellas really do make amazing billboards and our Peerless branded, EMT made PhoneLoops share this story every time people pick up their phone, which is on average, 62 times a day or something ridiculous like that. 2. Can you name a Promo Product that you have that STILL reminds you fondly of an event, person, organization? If so, can you tell us that story? A promotional product has to be really freakin’ cool for me to keep it. Consequently, I don’t actually have very many around my house. One that I not only love, but paid retail for, is a photo keepsake from Lego Land. My fiance and my daughter haven’t always gotten along, especially while we are on vacations. On this particular occasion a few years back, we were at Lego Land and, just to be defiant, my daughter claimed she was scared to go on most of the rides. It made for a very long day. Finally toward the end of the day, however, she loosened up and went on a few of the smaller roller coasters.On one ride she said she would be more comfortable with Damon sitting in the coaster car with her so that he could make sure she didn’t fall out. I was both surprised and delighted by this turn of events. When we exited the ride, they of course had the photos lined up. Not only was the photo they snapped totally hilarious because I look like I’m praying – maybe for them to start getting along – but they handed me a photo frame and showed me a virtual sample on the screen of what our photo would look like on this neat lego creation. 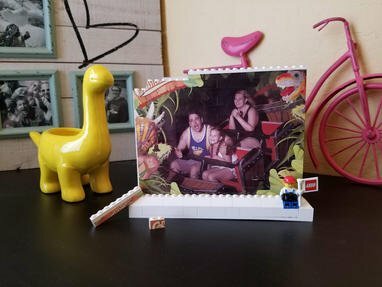 The stand is made of lego bricks and then the photo itself is printed on a wall of lego bricks so you could, if you wanted, take it apart and rebuild it. $40 some odd dollars later, that frame is one of the few pictures I’ve got displayed on my office bookcase. It is super cute and seriously clever. Bravo to whoever thought that one up! Bonus: Damon and K are getting along MUCH better now. I feel like maybe it’s time to take that trip again so we can actually enjoy ourselves and I can get another frame with a new lego figure on it to add to the collection. Ha! 3. What is the current product you use all the time? See question one. 🙂 4. What is an idea/product that you think organizations UNDER use? In general, all promotional products are under used. Even within our own industry, both distributors and suppliers fail to use our medium to attract and retain clients. We cold call, email blast, and use social media when really, we should be using the products at our disposal to be our own best case study. Sure you can use social media and email to enhance your promo efforts and amplify your message by sharing photos, etc., but as promo people we should really work to always think promo first. Second to that, I don’t think there is any one product that is underused as much as the imprint and/or imprint area is mis or under utilized.We often forget that we can print anything on these products. 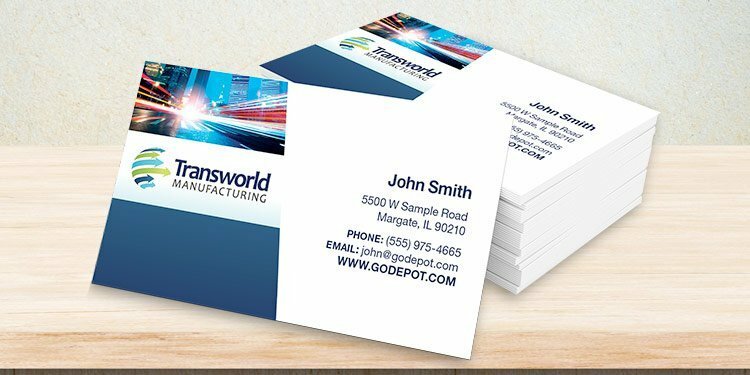 We can print a marketing message, statement, QR code, or a picture. It doesn’t have to be a logo. Also, the number one thing I see missing frompromo product projects is a call to action. We have an incredible opportunity to use this space to give people a directive. Incentivize them to engage with your brand. Encourage them to visit a website or connect and/or engage with social your social media accounts.Nine times out of ten, if you ask people to do something and give them a good enough reason to do it, they will. Whatever product you choose, use the imprint area to make that product really work overtime. It will be more effective, make a bigger impact, showa lower cost per impression, and turn a bigger ROI. 5. What do you think is the best thing about Promotional Products as an advertising media? I love that promotional products are the tangible realization of someone’s dream coming true. That might just be the best thing about them. It can be something as simple as a business card or pen, but when you dream of opening a company, take the steps to make it happen, create the logo and lay the foundation, put in the hard work of getting ready to do business, and then you open that first box of promo and see your logoon whatever it is, that’s a very special moment. In that moment, you realize you did it, and you have the pen in your hand with your logo on it to prove it. Promotional products have the power to stir emotion, drive people to action, and be kept or passed on for years to come. Can your billboard ad or tv commercial do that? Didn’t think so ? And…that’s the another edition of Brand-ecdotes! Thanks to Charity Gibson for taking the time to jump in on this brand new project! We all like to think we are good at saying “thank you” and giving praise. But it’s hard. We get wrapped up in day-to-day activities, and sometimes, it just gets away from us. But it’s so important to make sure people feel appreciated! Employees are more likely to stay where they feel appreciated…and so do customers. As a matter of fact, 69% of customers that leave you, say they leave you because of “perceived indifference.” That’s right, nearly 70% of your customers leave because they just don’t think you care! But how do you know you are saying “thank you” in a way that matters? Here are 3 tips to make the recognition (whether for employees or customers) stand out. Make It Personal: Whether it is your customer or your employee (or whoever) your people want to know the “thank you” really comes from you. If you are an employer, make your recognition public by making a big deal at a company meeting. 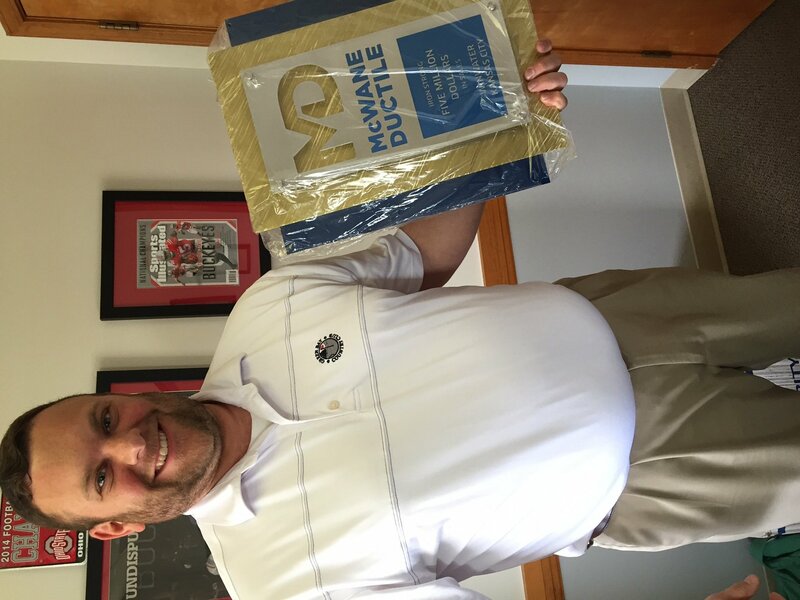 If you want to thank a customer, take after one of my rock star customers McWane Ductile. They create custom awards (more on that in a moment) and get them in the hands of their sales team. Their sales team then takes the awards to personally present them to their best customers. They could mail them…but they choose to make it personal and get that one extra “touch.” Make it Custom: When you can, it’s amazing to create an award that is “just for them.” McWane wanted to create an award that recognized their top volume customers. So we worked together to create an award that incorporated their new branding AND called out the customer by name. This award was larger than life and really stood out to biggest customers. Make it Public: The final step in taking recognition to the next level is to make it public. McWane does this by creating an award that is perfect for public display. This has several benefits. First, it’s a constant reminder of the appreciation they want to show for their clients. And because it’s such a nice piece, it catches the customer’s eye on a regular basis. Second, it gives credibility to McWane’s customer! Anyone visiting them sees they are a big deal to be getting awards of this magnitude. Finally, it’s a nice marketing piece. Though this is not the purpose of the award, it creates a constant reminder of the relationship between McWane and their customer. It’s recognition done right. If you want more information on creating a custom recognition program, contact us here. If you want to shop online, feel free to click here to check out our site.